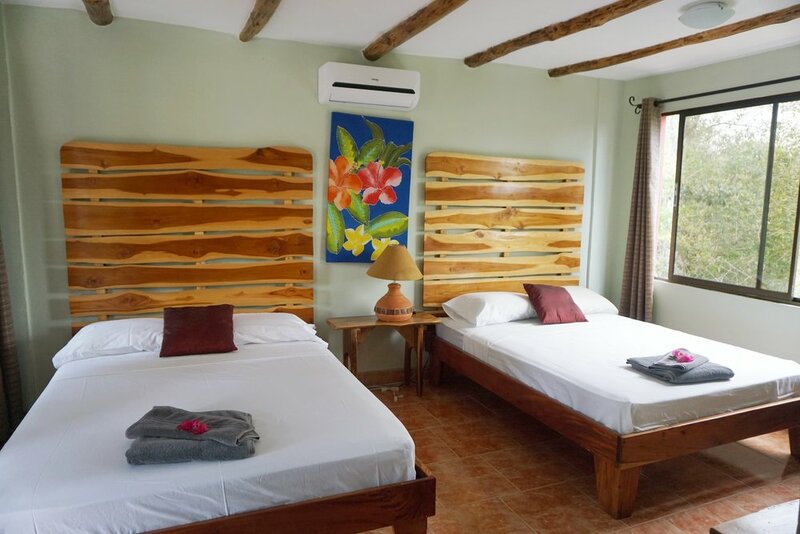 At Rayos, we offer the space to host groups of 15 to 45 people in comfortable lodging, with 25 acres of property at your disposal. There are 8 villas, four uphill and four downhill, and then four more apartments that hug the common area. 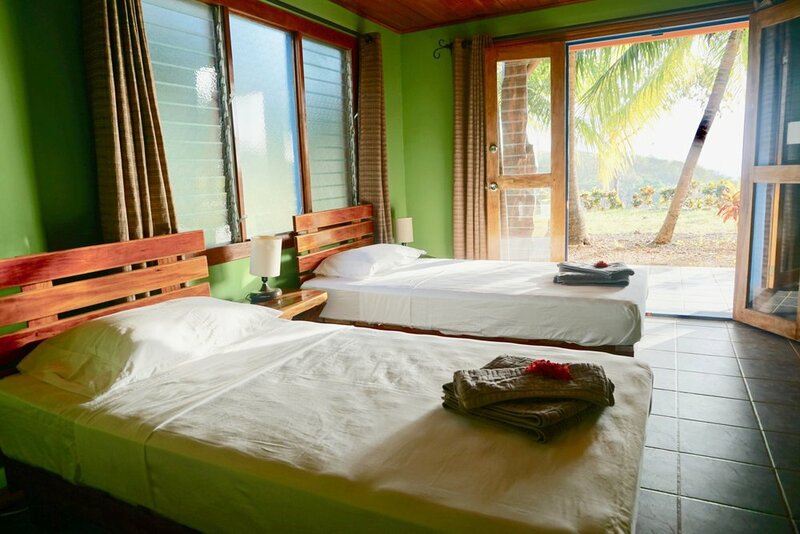 Each villa has multiple guest rooms with different bed arrangements available depending on your group's size and host specifications. 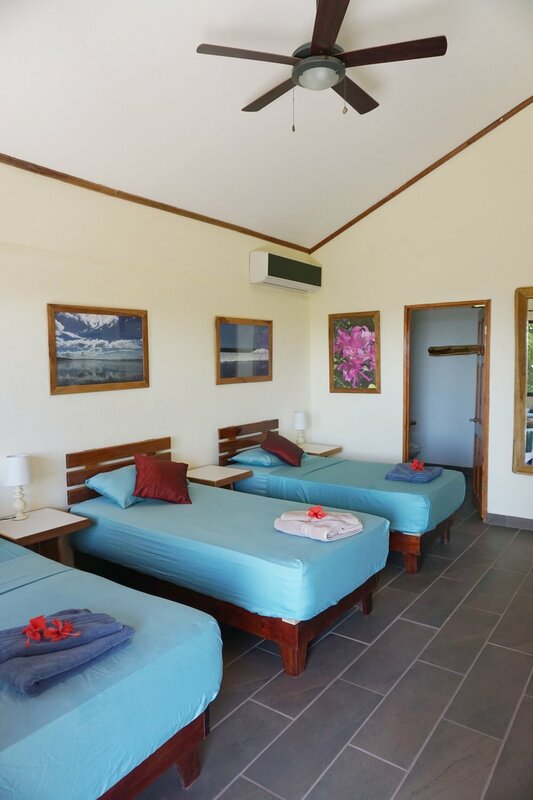 We have a total of 20 spacious rooms, each with its own unique character, and all of which feature modern amenities such as A/C, on-demand hot water, and private bathrooms. Toiletries, fresh linens and towels are provided for every guest. All rooms are located within a 3-5 minute walk from the main common area and have patios for lounging outdoors. Our most economical lodging arrangement, shared rooms have 3, 4 or 5 twin beds in a room, and are ideal for larger groups of friends or family members traveling together. These rooms have shared bathroom facilities that are larger and/or include multiple sinks and toilets. Our most popular lodging arrangement, double rooms typically have 2 twin or full beds in a room, and are ideal for two friends traveling together. These rooms have 2 people sharing one private bathroom. Our most premium lodging arrangement, single rooms have 1 queen or king bed in a room, space for lounging, and are ideal for solo travelers or couples seeking privacy, peace, and quiet. These rooms all have private bathrooms.